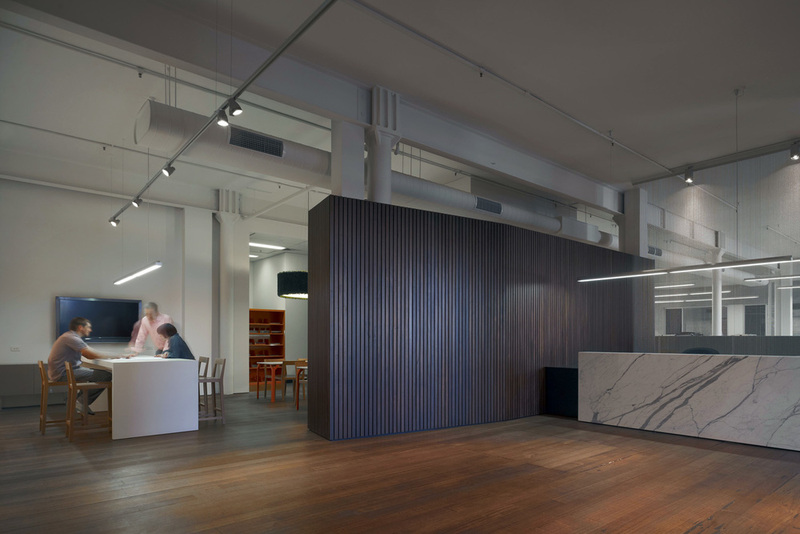 A contemporary open planned office fit out within a heritage warehouse in Collingwood reflects the firm’s philosophy of openness and transparency. There is no front of house and back of house - the entire workspace can be seen as you enter the front door. The first impression is of space and light with lofty ceilings and ample natural light. Exposed columns and plumbing ducts add to the sculptural nature of the existing shell and convey a level of honesty.The office fit out has had a dramatic impact on the culture of the practice with staff feeling very much a part of a cohesive team.